Saudi Arabia’s recent reforms championing women’s rights prove that nothing can stop a Saudi woman from attaining anything she sets her mind to. 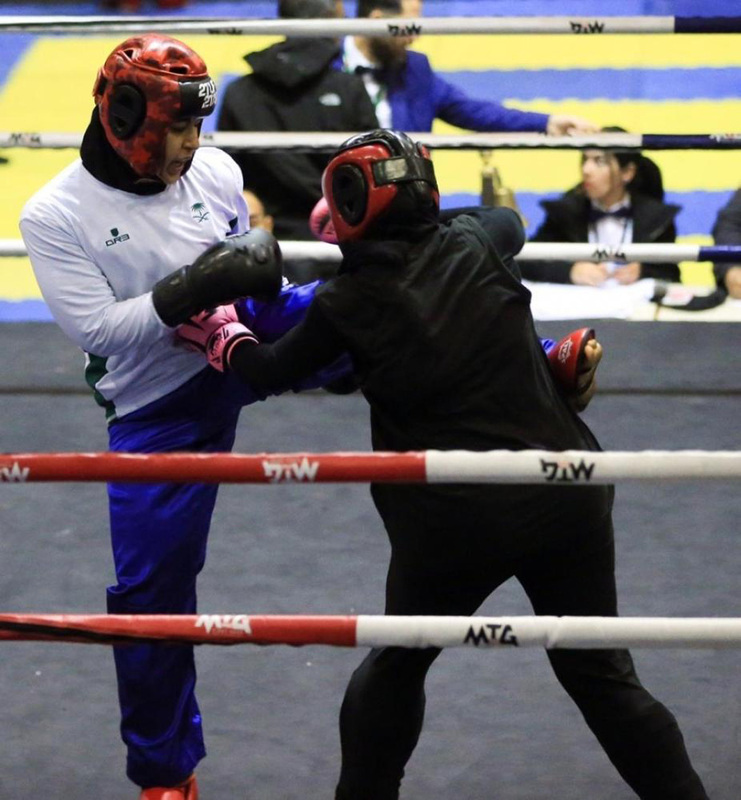 This month, Saudi Mixed Martial Arts (MMA) fighter, Zahra Al Qurashi became another woman to make history in the kingdom as she won Saudi’s first ever gold medal in kickboxing. This monumental win came after she beat her opponent, Jordanian competitor, Heba Wasfi Abdul Jalil, in the women’s 70kg category at the Open International Tournament for Clubs in Amman, Jordan. 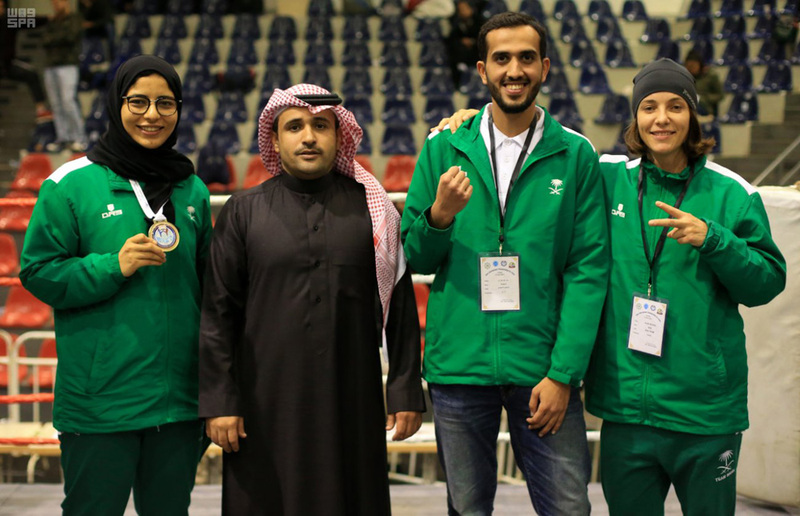 Al Qurashi’s epic victory was commended by Abdul Aziz Julaidan, chairman of the Saudi MMA Federation as the young female fighter told Arab News of her joy at “winning her country's first gold medal in the sport", what made her take it up in the first place and what it takes to compete on an international level. "I got into kickboxing by coincidence, as I just wanted to join a gym. I found the class and gave it a try, and decided to keep attending the classes. A year ago, I joined Flagboxing Gym, and started training with my coach Grethe (Kraugerud). With her help, I developed my style and I am improving every day," said Zahra. Speaking about her victory against Jordanian Abdul Jalil, she recalled, "As soon as I entered the ring, everything went blank, I couldn't hear or see anyone but my opponent, so I don't really recall hearing my name even. I got a couple of really good kicks and punches, but she was a good opponent. I was in my own zone though, following every move and made sure I didn't make mistakes." Following Crown Prince Mohammed Bin Salman’s vision to modernize the kingdom’s views on gender and equality, Saudi women have been proving themselves a force to be reckoned with in a variety of sports that they were previously banned from participating in. At the beginning of 2019, Saudi’s Taif University welcomed women to take up courses in sports including football, karate, and basketball and caught media attention as it became the first college in the country to offer these courses to female students. Wheels were set in motion in 2018 as Saudi Arabia also hosted it’s debut women’s cycling race and a running marathon, as well as a women’s basketball tournament followed by announcement that the kingdom would be hosting a women’s football competition to boot!